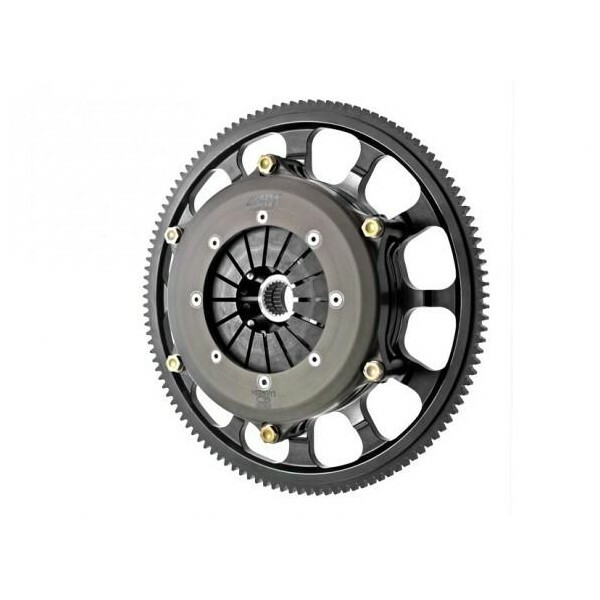 Advanced Clutch Technology (ACT) is pleased to introduce its new twin-disc clutch kits for the Honda B-series and K-series engine applications. 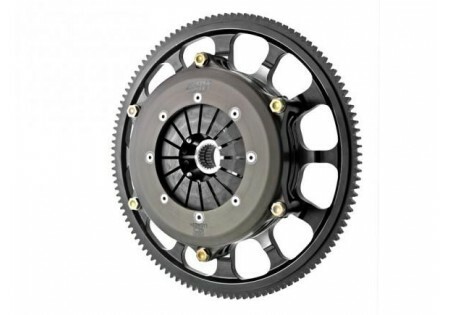 These race twin-disc clutch kits are certified as meeting SFI Spec. 1.2. The ACT race twin-disc clutch kits for the Honda B- and K-series engines offer Acura and Honda enthusiasts race-ready, direct bolt-in kits that require no modifications. These twin-disc clutch kits feature a pressure plate, two sintered iron discs, a XACT Prolite flywheel, release bearing, pilot bearing and alignment tool. With ACT's ability to design and manufacture diaphragm springs, we were able to keep the pedal load at a 22 percent increase over the stock pedal load, while increasing the clamp load by 88 percent over stock. The sintered iron discs allow for quick shifting and twice the surface area for high-heat capacity and long life. These kits can support up to 770 lbs./ft. of torque. The XACT Prolite flywheels are a one-piece chrome-moly construction with machined slots to provide the lowest inertia and best throttle response. Also, ACT's XACT flywheels can be cost-effectively resurfaced. All ACT Race twin-disc kits are dynamically balanced as an assembly for trouble-free use. Each kit has an overall weight of 16 pounds, which is a 47 percent decrease in weight compared to the 30-pound stock kit.